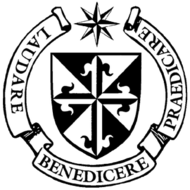 The Order of Preachers (Latin: Ordo Praedicatorum, or OP), more commonly known after the 15th century as the Dominican Order or Dominicans, is an order founded by Saint Dominic in France, and approved by Pope Honorius III (1216–27) on 22 December 1216. The Dominicans came to Finland already in 1249 AD, but after the Reformation, the order didn't return until 1949. The future of the order in Finland, however, is looking quite bright: in early 2014, Gabriel Salmela OP was ordained a deacon and there is also interest in the order among the younger generation. To learn more about the Dominicans in Finland, click here.